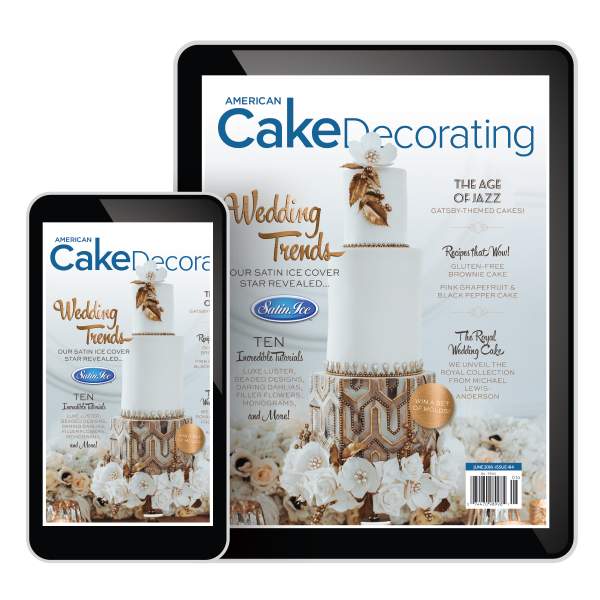 Our May/June issue showcases the latest in wedding cake design; featuring a stunning showcase of theme-inspired wedding cakes. 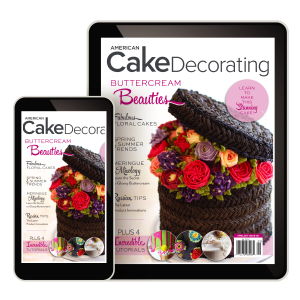 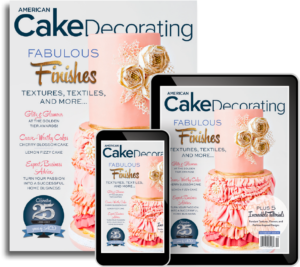 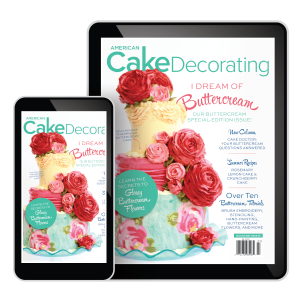 With over 10 tutorials, this issue is loaded with gorgeous how-two’s showing the steps to create everything from botanically-correct Dahlia flowers, to the perfect luster finish! 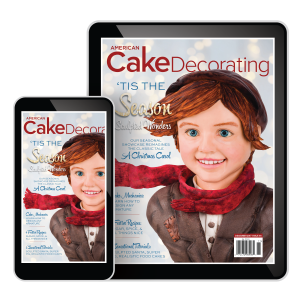 Learn how to overcome creative burn-out, with an insightful business column from Chrissie Boon, and get back to basics with our Cakeologist, Kara Andretta, as she shares a MAGIC recipe for the perfect edible modeling clay! 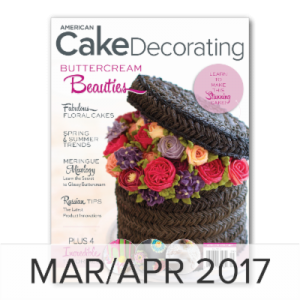 Finally, don’t miss our hotly-anticipated Cover Star feature, and learn what it takes to become a cover artist.